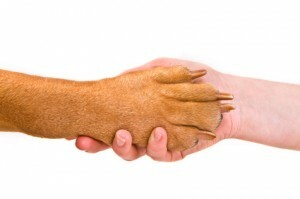 Companion animal rules can be very frustrating for landlords and property managers. Many wish to enforce no-pets policies for fear that animals in the building will cause physical damage, harm residents, make too much noise, or offend other tenants. The rules regarding companion animals stem from the Fair Housing Act, which applies to nearly every landlord and manager. Even those not affected by the federal Fair Housing Act usually are covered under similar state or local provisions. A landlord in a similar situation attempted to regulate where a companion animal could travel throughout the building. The landlord prohibited the tenant from bringing a dog into the common laundry area, based on the belief that other tenants would be frightened, allergic, or offended by the animal’s presence. HUD, the government agency that enforces the Fair Housing Act, determined in that case that the animal could not be restricted within the complex. It was implied that the tenant must remain with the animal at all times while it is in a common area. It is likely that the same reasoning would apply in this case. Consider, for example, if the animal was a service dog needed to assist a tenant who was vision-impaired. It would not make sense to permit the person to use the animal in some parts of the building — like the elevator — but not allow the animal in other areas. That is akin to saying the tenant cannot go into those areas, even though other tenants can enter freely. Any unequal treatment of a tenant with a disability is discrimination. A common concern many landlords have with companion animals is that, unlike service animals which are expertly trained, a companion animal does not need any special training. Often, tenants choose companion animals from controversial breeds, like pit bulls, which can be threatening to other residents. Landlords cannot dictate which type or breed of animal a tenant with a disability must choose for a companion. In fact, inquiring about an animal’s training, as you would a prospective tenant’s pet, is not allowed. However, if the animal poses an actual threat to the health or safety of others, a landlord or manager may have reason to deny the companion animal in the renal property. To be sure, though, it is best to speak with a representative from your local housing agency or your attorney before you take steps to evict a tenant with a dangerous companion animal.